This trendy cardigan is the perfect addition to your littles outfit. 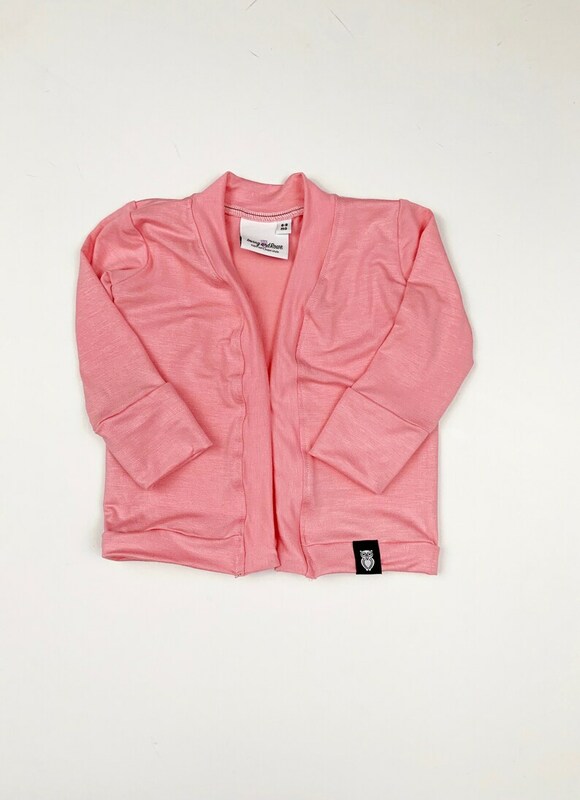 This tunic style cardigan comes in light pink. These cardigans are a light weight cotton/rayon/spandex blend. * Since all items are handmade, no two cardigans are the same. * Please allow up to 2 week to be shipped. Darling pants! They will be perfect for Disneyland! Soft and lightweight! Made very well! Thanks! We take pride in every item we make. We would never send anything out that we would not put on our own children. All items are one of a kind made with love by hand in San Diego, CA. Returns - Please contact us within 7 days of receiving your package. We accept unworn, unwashed item(s). Please send item(s) back within 7 days of contacting us. After we receive the item(s) and they have been approved we will issue you a refund minus shipping. Exchanges - Please contact us within 7 days of receiving your package. We accept unworn, unwashed item(s). Please send item(s) back within 7 days of contacting us. After we receive the item(s) and they have been approved we will ship you the new item(s). If you received the incorrect order or are not satisfied in any way please email hello@irvingandrowe.com within 48 hours of receiving your package so we can resolve the issue as soon as possible. We ship first class USPS. Our turn around time is up to 2 weeks and shipping time is 2-5 business days. We try to get your packages out asap. If you would like faster shipping please purchase Rush My Order. We are not responsible for lost or stolen packages. If you would like insurance on your package please purchase priority shipping. ---How do your items fit? 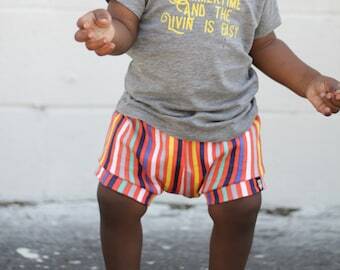 Our items run true to size but if your child is in between sizes we recommend going up a size. ---What is your turn around time? ---What if my package gets stolen or lost. We are not responsible for lost or stolen packages. If you would like insurance on you package please purchase priority shipping. ---Do you do custom orders? It depends on what it is. If you need extra length or shorter length then yes. Do you need something made that I do not have then no. Please email me at hello@irvingandrowe.com and I can help you.